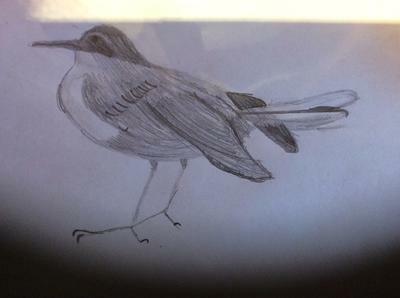 This is my first drawing of a bird and it is a robin and it's the best I've ever done in my entire life because I'm only 10 but I hope I can do more better drawings as I grow! If this is your first drawing, that's pretty good for the first time!!! It is very interesting the way you made it. Even if it isn't the best, you should NEVER let anyone tell you your art is wrong, please!! I mean, it's one of the best birds I've seen for a 10 year old! :) great job my dear! that is all I can say, if this is your first bird drawing ever :) you may not be completely satisfied with your work now, but I can tell you, you did an AWESOME JOB ! Really! I know that drawing animals can sometimes be a challenge. Please keep on practicing, drawing, sketching, doodling. It doesn't matter if your immediate drawing looks good or not, you can draw and RE-draw the same picture over and over again. And please please please keep on drawing and nourish and polish your artistic ability because YOU ARE ARTIST already!